With interest rates on the rise and loan volume declining, mortgage professionals need to consider new options to generate leads. One of the most cost-effective ways to generate new business can be through a call center – if the call center strategy is tailored correctly. Mortgage professionals will soon be able to get the inside scoop on how to tailor their call-center operations to best suit their business in a free webinar hosted by Best Rate Referrals. The webinar, which will be held at 3 p.m. EST Aug. 7, will give mortgage pros tips on how to use call centers to bring in prospective clients, how to connect mobile and digital campaigns to drive call-center traffic, and practical ideas for implementing call-center operations, either in-house or through a vendor. The biggest question, of course, is whether a call center is right for your company to begin with. If that’s the case, Bartreau said, utilizing a call center could help a company keep its originators doing what they’re best at – closing loans. However, Bartreau said, many people have misconceptions about call centers that can make them hesitant to utilize them. 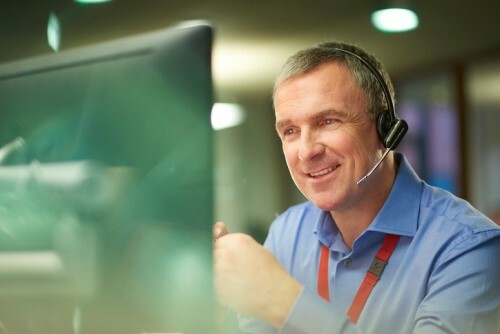 Bartreau said that the webinar would help dispel some of those myths – and give mortgage pros valuable tips on how to make the call center model work for them. To sign up for Best Rate Referrals’ free webinar, to be held Aug. 7 at 3 p.m. EST, click here.